Co-workers can often be the most annoying person. Most co-workers have an annoying habit which you might dislike. These people come with their annoying habits and make your life hell. It is important to recognise such people and tackle them. Every day we have to deal with different kinds of people, but co-workers always stick around, simply because we meet them every day. There are different types of co-workers, unfortunately most are the annoying type, and you could call them annoying co-workers. Simply put, these annoying colleagues hold the power to turn your life into living hell, almost as if it is their life’s purpose. 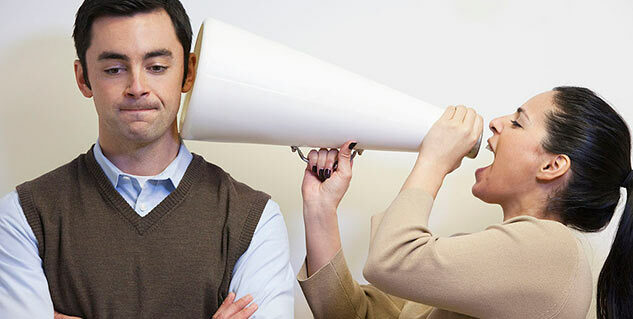 The most annoying person in your life can most definitely be your co-worker, so here we are looking at signs of annoying co-worker. Stay away from them! These people are full of drama, and they can easily win the title for the most annoying person. They always have problems in doing their work, and they are almost always looking for ways to annoy you. Most importantly, they are terribly moody, so watch out! These are the ones who are always trying to be funny, even though they are not. These annoying co-workers will always find a way to play the joker, and basically look for attention. They can sometimes get on your nerves, but relax, that is just the way they are. This is true for those unclean neighbours, yes, they are worst. They have no regard for their own desk, and in the bargain pollute your environment too! These annoying colleagues scatter everything on their desk and have the least respect for the sanctity for the office space. Yes, these are the people who love to disturb you, no matter what the situation is. They will just show up and waste your time, and you cannot say anything. They think they are making conversation, but the truth is that they are jobless, and in the bargain killing your productivity. You busted your weekend to do a work, and when the time came to shine, it is this annoying co-worker who got all the limelight! These are the shameless ones who have no regards for anyone else, and love hog the limelight. They are definitely the most annoying colleagues. This one is always the most hated, because obviously he is forever ready to take on his boss’s side. No matter what the case is, this co-worker will surely sideline his team and his colleagues to stick to the boss, just so he can get some extra incentive. This person could easily be the most annoying person. Of course he isn’t your high school bully, so he is not coming on to you to smack you. He will simply make your life difficult, and enjoy your misery from a distance. The bully is most certainly the kind of person to get a kick out of it all, and you possibly cannot do much about it, because this kind of person could be your supervisor. This person just imposes his or her life lessons onto you. There are these types of people who does not understand that everyone has the right to his or her individuality, so he or she will continuously criticise you for being who you are. These people can get on the nerves, and it is absolutely frustrating to have such a co-worker.